As a free-lance substitute teacher I rarely know ahead of time if I'm working. I've taken to waking up pretty early on school days since I hate being woken up by early morning phone calls, (they freak me out! I mean, who calls at ungodly hours unless it's a real emergency?!). It also gives me time to make a cup of coffee and play with my iPad until it's time to really get up. It was on of these mornings that I was scrolling through Pinterest and came across this pin. 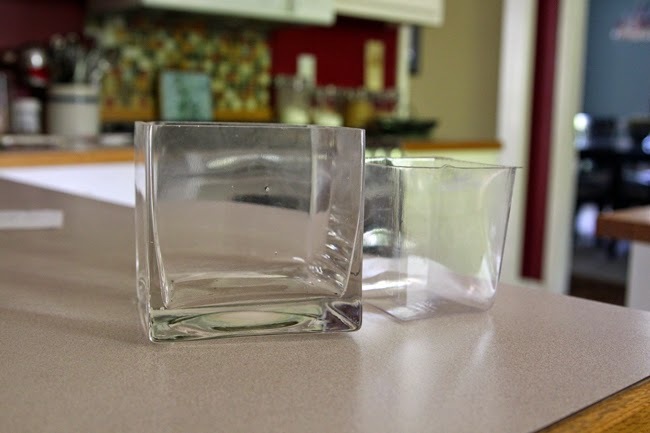 We already had the square vases and liners we would need to make them thanks to the centerpieces from our wedding, so it was a fairly inexpensive and easy centerpiece to make. 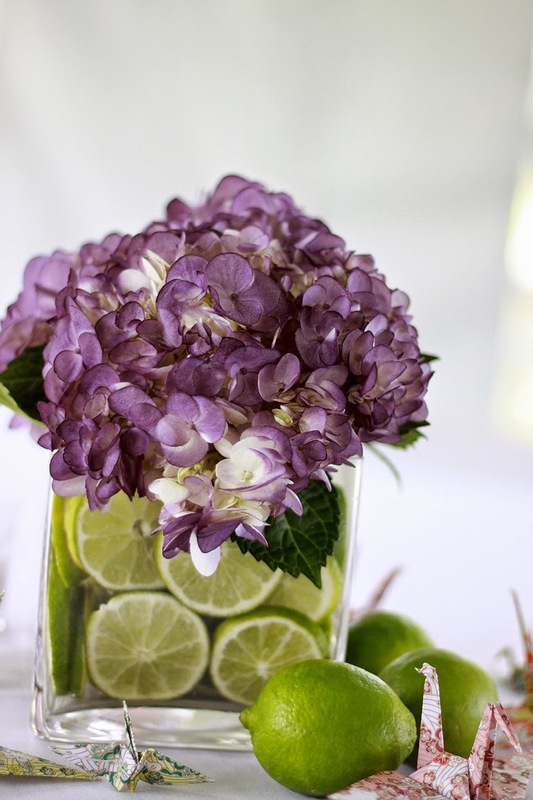 They looked fantastic on the dining room table and I can't wait for another occasion to make a similar arrangement! 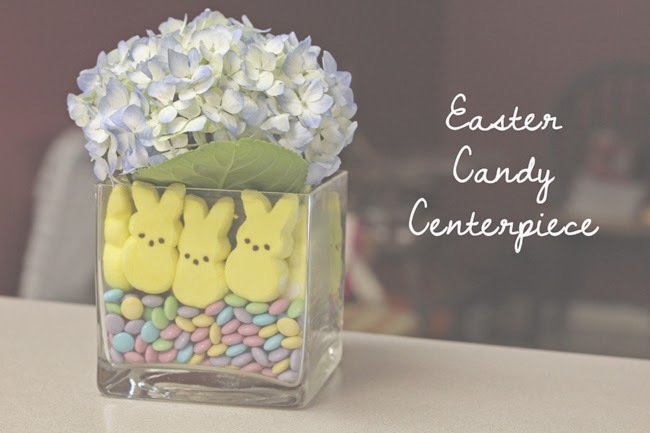 You'll need two square vases (one big and one small enough to fit inside without being seen), small candy like m&ms or jelly beans, bunny Peeps and your favorite flowers. 1. 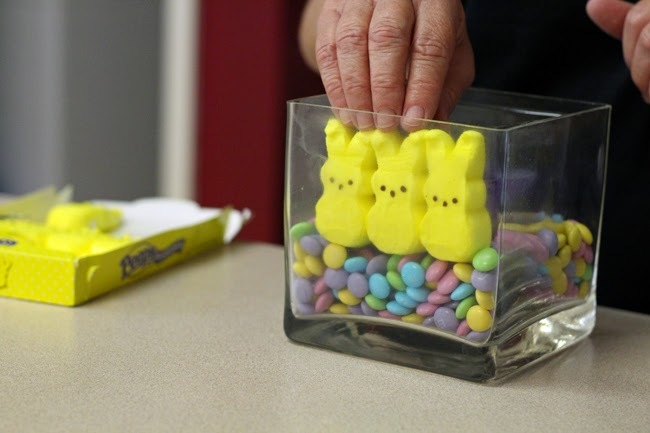 Place the smaller vase (ours was a plastic one) inside the larger one. 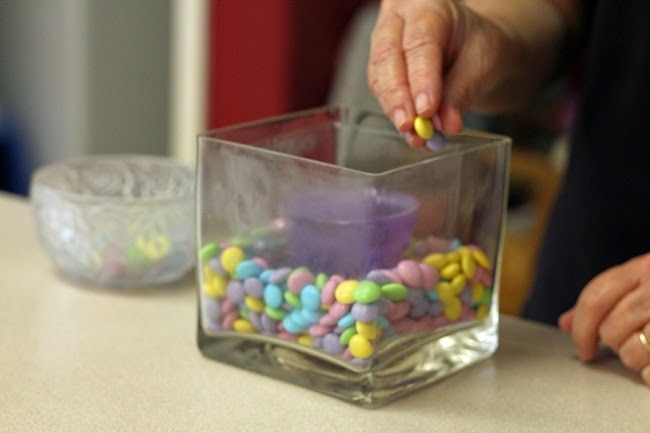 We chose to put a votive candle holder inside to weight it down a bit while we filled them. 2. Fill the area between the outer and inner vases no more than half way up with your candy of choice (we used pastel m&ms and jelly beans). 3. 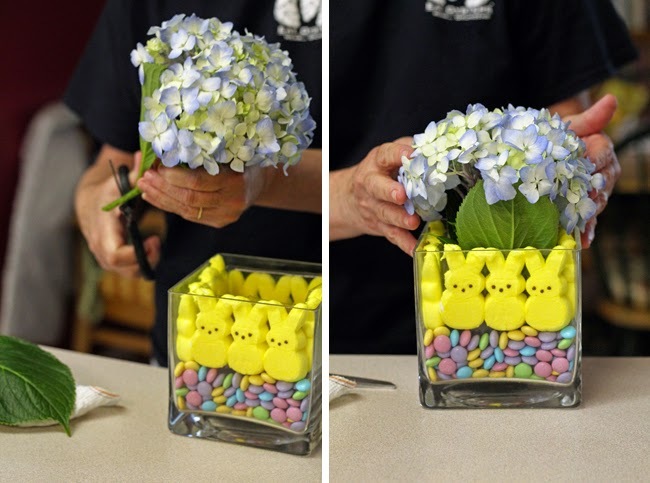 Squeeze the Peeps into the top half of each side of the vase. 4. 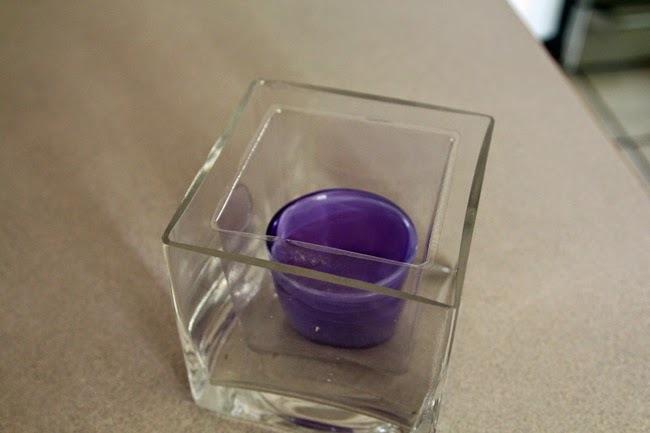 Pour some water and flower food into the inner liner and cut your flowers so they are the height you want.